I hope everyone’s Thanksgiving weekend was a nice one. I did a little Thursday night and Black Friday shopping, and then it was a very long weekend of working with Wayne Smith to get the 224 page, double-sized issue of The Rifter® #71-72 finished and sent off to the printer. All of us were here. Wayne doing typesetting, layout and last minute editing, Chuck putting the finishing touches on his artwork for the Splicers® adventure and source material, Julius doing proofreading, Alex pitching in where he could and working on other fronts, and me helping with layout, putting in corrections, and finishing my writing contributions to the issue. I think The Rifter® #71-72 is a really fun read with a wide variety of gaming material you will enjoy. It was not the most fun way to spend the holiday weekend, and talk about long hours, but we are happy that it is at the printer and will ship before Christmas. See complete details below. Chaos Earth® Resurrection™ is on its way to those of you who pre-ordered, and has already made its way into a few Christmas Surprise Packages. 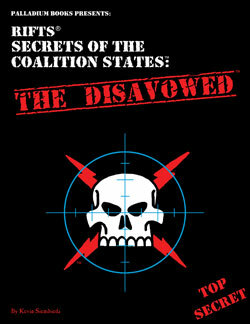 The book has also shipped to Distributors so it should be hitting the shelves of your favorite stores in a week or two. Great book. Freelancer Ben Rodriguez went wild over it, and he had already seen the proofreader copy. 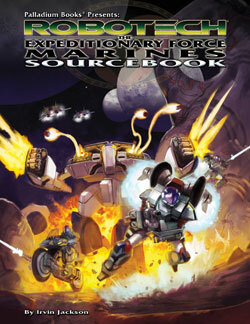 It is one heck of an adventure sourcebook. You can go to DriveThruRPG.com to see a couple of FREE Chaos Earth® Resurrection™ previews, but they don’t do the entire book justice. 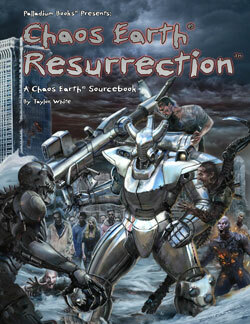 FYI: Chaos Earth® Resurrection™ is available to request on your Christmas Surprise Package wish list. The Rifter® #71 & 72 Double Issue went to the printer at the beginning of the week. I approved the printer’s digital proof Thursday afternoon. Another great couple of issues. In fact, Julius still contends The Rifter® #71-72 is one of the best issues of The Rifter® ever. It is pretty sweet, with a bunch of official game material and a few little surprises. (I hope.) The printer confirmed a ship date of December 18, 2015. I know it has been a long wait to get these two issues, but I think it will have been worth it. 224 pages of adventure, ideas for adventures, and fun. See the new description of the book elsewhere in this update. It looks like many of you have been waiting till Christmas got closer before placing a Surprise Package order. That’s awesome. We are happy to see them, so keep them pouring in, and we’ll keep them shipping out! See the shipping dates below to help you gauge when you NEED to place orders in time for Christmas. For those of you who don’t know what a Palladium Christmas Surprise Package is, it’s usually $89-$95 or more worth of Palladium RPG books for only $42 plus shipping and handling. And because you guys and gals mean so much to us, I often pack in more than $90 worth of product. Oh, and each book will be signed by me (Kevin Siembieda) and available Palladium staff and freelancers if you request it. It is our way of saying thanks to all of you for your support and kindness. Surprise Packages are the perfect holiday gift for gamers as well as for upcoming birthdays, anniversaries, or filling in holes in your collection or trying new game settings (Rifts®, Robotech®, Nightbane®, Dead Reign®, Beyond the Supernatural™, Heroes Unlimited™, Ninjas & Superspies™, After the Bomb®, Splicers® and all the rest). We’re happy to put smiles on your faces with these items. Christmas Surprise Packages make great gifts for the gamers in your lives. Try new game settings and receive cool stuff. Get autographs from the Palladium crew and available freelancers. All items selected and comments read by Santa Kevin, himself. Ho, ho, ho! IF YOU WANT YOUR SURPRISE PACKAGE IN TIME FOR CHRISTMAS, YOU NEED TO ORDER IN THE NEXT 10 DAYS! For those of you in the USA and Canada, placing an order over the next ten days guarantees you to get your Christmas Surprise Packages in time for Christmas. And without having to pay for a better, faster method of shipping! The only exception is Media Mail, as it is unreliable. Note: When you place your order now, you avoid the Christmas rush and reduce the chance of your package getting lost or delayed! Shipping Considerations: When ordering, you need to factor in time for Palladium to process those orders (usually 24 hours, not counting weekends) and the actual transit time of shipping itself (generally 3-5 business days in the USA depending on where you live). Do NOT include Saturday or Sunday as shipping days, because they are not. Get those orders in NOW to get your order or Surprise Packages in time for Christmas without having to pay an arm and a leg for expedited shipping! A long Wish List avoids delays. Your “Wish List” – The Palladium Surprise Packages are designed to simulate the fun, joy and surprise of the Christmas Season of Giving. To do this, you submit a list of 10-14 Palladium products (or more) FOR EACH Surprise Package you order. This list of 10-14 items for EACH Grab Bag is critical, because you will not know which items you’ll be getting. That makes it just like a Christmas gift because it’s a surprise! 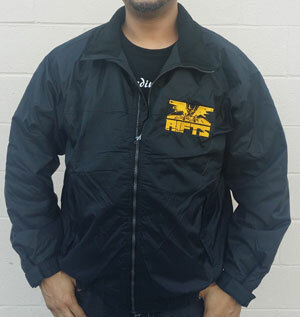 Plus, Santa Kevin, who personally hand-picks every item for every Grab Bag, may toss in something extra like a limited edition print or T-shirt, or issue of The Rifter®, or something else he thinks you’ll enjoy. Note: Remember, Palladium needs a day or two to process and pack orders and we cannot ship on the weekends. Make sure your address is complete (include Apt. Number) and your order is clear. Media Mail – Place your order via Media Mail by December 11 and you should get your Surprise Package by Christmas, but Palladium will NOT guarantee any package shipped via Media Mail to arrive before Christmas. Use this method at your own risk. Note: Media Mail, which applies only to paper goods, is the least expensive method of shipping, BUT also the slowest and least reliable method. The USPS will tell you 4-10 days for delivery, HOWEVER, experience has shown us that during the holidays, delivery time is more like 7-21 days. Ship at your own risk. UPS Ground in the USA – Place order by December 15 to guarantee Christmas delivery. Those of you who live east of the Mississippi River may have till December 18, and since Christmas Eve is on Thursday, many of you east of the Mississippi who place orders as late as December 20 MAY get still get your order in time, but it is a 50/50 gamble. Those of you living west of the Mississippi need to get orders to us no later than December 15 to guarantee delivery by Christmas Eve. Priority Mail in the USA – Place your order by December 18 (should be a bit cheaper than UPS 3-Day Select). UPS 3-Day Select in the USA – Place your order by December 20 for guaranteed Christmas delivery. UPS 2nd Day Air in the USA – Place your order by December 21. UPS Next Day Air in the USA – Place your order by December 22. Express Mail in the USA – Place your order by December 20. Parcel Post in the USA – NOT ADVISED. Placing an order by December 15 means you MAY get your order in time for Christmas, but probably not. There is only a 33% chance. We can NOT guarantee a Christmas delivery using Parcel Post at this time. December 12 – to our friends in Canada and overseas – To guarantee delivery in time for Christmas, we suggest ordering no later than December 12. Happy Holidays, one and all! Please spread the word about the Christmas Surprise Packages to gamers everywhere! A great way to introduce Palladium’s settings to new gamers is with a Christmas Surprise Package. I mean, for the price of what most core rule books cost, you can get one Surprise Package ($42 plus shipping) with 3-5 different titles (depending on the value of each book). It’s hard to beat that kind of deal. 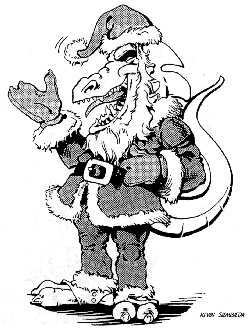 The Christmas Surprise Package is only publicized by word of mouth, to readers of The Rifter® and on Palladium's website – www.palladiumbooks.com – so please tell everyone you know, post a link on your Facebook page, twitter and... well, everywhere. And pick one up one for every gamer you know and have a joyful holiday season. Julius and I have already started our role-playing advice articles for this issue, and Mike Wilson is working on the fantasy cover. Wayne will be selecting material over the next couple of weeks. I’m working on this one, too, here and there as ideas strike me. ‘Tis the season, so we are focusing these Updates on the Christmas Surprise Packages and products that are being released in December. Just because we have not mentioned a specific product you have a passion for, does not mean it’s not on the drawing board. In fact, we have big ideas for Robotech® RPG Tactics™ and Rifts®, as well as Palladium Fantasy®, Splicers®, HU2™, BTS™ and more. All are works in progress so we cannot reveal any details just yet. We’ll talk about our plans for 2016 as the New Year approaches. 120+ Palladium game titles are waiting for you in PDF form. 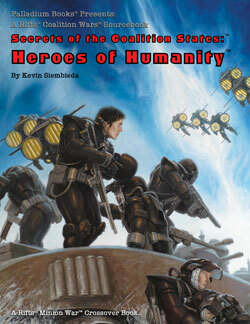 Rifts® titles, the Minion War™ series, the Rifts® Coalition War®/Tolkeen series, all of the Dead Reign® (Zombie Apocalypse) books, plus Heroes Unlimited™, Palladium Fantasy RPG®, The Mechanoids®, Splicers®, The Rifter® and much more are available on DriveThruRPG.com. Rifts® Chaos Earth® Resurrection sourcebook will be made available soon, but first, a couple of sneak previews of it are available now. A Rifts® Novella, PDF only. Both should probably appear next week. 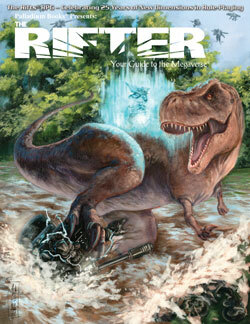 The Rifter® #63 and #64 are now available as PDF titles. Two free Chaos Earth® Resurrection previews. 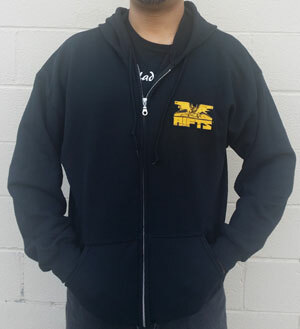 Rifts® Chaos Earth® titles (all) to be added in the next week or two. FREE Robotech® RPG Tactics™, paper game pieces, force organization tables, stat cards, rules and special items – coming soon! The Rifter® issues #1-64 – available now – more coming. 120+ Palladium titles, plus G.M. kits, The Rifter® 1-64, and more. Alex and I have added and continue to add a growing number of all kinds of collectibles – and we’ll be adding more Palladium Books original art and items to my ebay store, so keep an eye out for it. 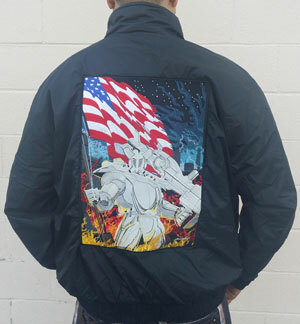 This includes one-of-a-kind original artwork, prints, Rifts® and Robotech® artwork by Kevin Long, me and others. There is also a range of limited editions, rare book titles and limited edition hardcovers, toys and more that are all being added to my online store over the next several weeks, so keep an eye out. Alex and I will keep adding items as our busy schedules allow, but we have a lot of fun collectibles available now and coming soon. Items include original art, out of print titles, redlined proofreader photocopies signed by me and the staff, signed manuscripts with editors’ corrections, some original art, hardcover books (including Rifts® Lemuria, Northern Gun™ One, Northern Gun™ Two, Megaverse® in Flames™, Beyond the Supernatural™ Gold, Rifts® Machinations of Doom™ Gold and Rifts® Ultimate Gold) and other items available just in time for the approaching holidays. There are also hundreds of toys and action figures, all from my personal archives and collection. 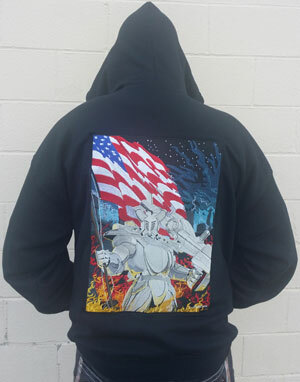 Take a look every weekend for new items added. Many make perfect gifts for the upcoming holidays, birthdays and anniversaries. You asked for it and we provide. Island at the Edge of the World™ is a short print run of the book with First Edition rules, but is easily adapted to Palladium Fantasy, 2nd Edition. It should be available December 11, and may be requested for Christmas Surprise Packages. Yeah, these are the geese that gather when the weather gets cold. We counted 61 of them the day this photo was taken of a good portion of them, but I’m sure we missed a few. They really do remind us of zombies. They walk slow, often in a line or a scattered mob, and they have the zombie moan that alerts other geese in the area that there is food. Okay, it’s a honking sound, not a moan, but it might as well be. Hmmm. Zombie geese in Dead Reign®? Nah. I’m back doing Murmurs from the Megaverse, so keep an eye out for them. For those of you celebrating Hanukkah, the holidays are already here. I hope it is filled with light, love, and joy. A.L. in Kennesaw, Georgia, writes (in part): ... I look forward to the Surprise Packages every winter. Many thanks to all of you at Palladium for writing such an engrossing world, letting us play in it, and loving your fans enough to do this every year. I can’t wait to see the Secrets of the Atlanteans and Mechanoid® Space. Any chance of new Splicers® stuff. J.G. in Melbourne, Australia, writes (in part): I haven’t been a fan all that long, but over the past several years I have come to love your work. I came to possess old first edition copies of the Robotech® RPG books from my brother as we were fans of the show. We both went straight out and bought Robotech® The Shadow Chronicles® when it came out... When I finally bought a retail version of Robotech® RPG Tactics™ earlier this year, I love the game! M.M. in Meadville, Pennsylvania, writes: You guys are the best! I have loved each X-Mas package so far. I also very much enjoy the amusing comments and the artwork drawn on some of my orders. So please, keep the gaming awesome! J.K. in O’Fallon, Missouri, writes (in part): I just wanted to send a continued thanks for doing what you do. I have written in the past how your games brought my group of friends together and it allows us to be ourselves, and have a release from the normal day to day. It means a lot to me, the bonds I have formed, and just the inside jokes we text to each other. Thank you again, many times, you and your amazing crew. J.H. in Louisville, Kentucky, writes: Thank you for all the hard work! My boys and friends love these worlds. J.B. in Grand Fork, North Dakota, writes: My group is playing a lot of Fantasy, and I’ve got a Mind Mage that is great fun. Anything related to psychics and Fantasy would be excellent. K.H. 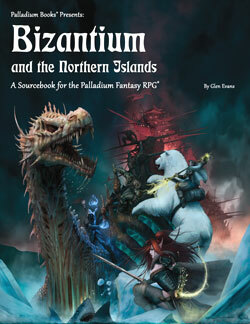 in Cadillac, Michigan, writes: I play Rifts® more than any other RPG, but friends like to have a good game of Palladium Fantasy every now and then. At the printer! The 224 page Double Issue of The Rifter® #71 & #72 is packed with source material from across the Megaverse®. There are adventure settings, monsters of Japan, ninjas, superspies, the Town of Semjaw, the floating haven called the Pearl, Game Master tips, a short story that is a prelude to The Disavowed, and plenty of adventure and adventure ideas, plus news and coming attractions. 224 pages of fun and adventure in the Palladium Megaverse® – $24.95 retail – Cat. No. 171-172. At the printer, ships December 18! 160 pages (increased size) – $20.95 retail (increased price) – Cat. No. 666 – Available for pre-order now. Estimated ship date, November 30.